After All! 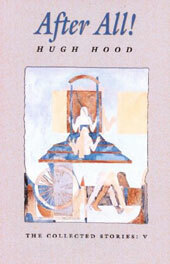 contains the last of Hugh Hood’s short stories, seventeen in all, written between September 1991 and December 1994. 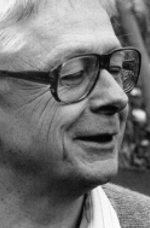 It was his practice to intersperse publication of short stories, essays, or other materials between the appearance of the individual novels in his ambitious series The New Age / Le nouveau si�;cle, which appeared at two- or three-year intervals between 1975 and 2000. This collection should have been published in 1996 or 1998, but because of failing health in the later 1990s, he devoted all his energies to the completion of the New Age series, and thus never got around to presenting the typescript to a publisher. (Hood died, sadly, a few weeks before the publication of the final volume of the New Age series.) The stories in this collection, however, are not only complete in themselves but complete as a collection. They are presented in the order in which they were written, which was the order in which he wanted them to appear. Like his earlier collections (from Flying a Red Kite, 1987, onwards), these stories encompass a remarkable variety of tones. They include humorous stories of everyday life, fantasies, problem stories, satires on the excesses of modern civilization, documentary sketches, stories that amuse, stories that entertain, stories that set one thinking, stories that disturb. All are written with the stylistic elegance, and filled with the inquiring intelligence, that we have come to expect from Hood. Though written in the last decade of his life, they show him at the top of his form. Here we experience the flowering of one of the most skillful and probing Canadian practitioners of the short story as a subtle and concentrated literary form. It took all the courage I could muster to lean over and work my palm under the damp imprisoning square of cardboard. I thought I might get bitten. Who knows what infections such a bite might cause? Suddenly I snatched up the mug, the contents and the cardboard, and scuttled back up the driveway and into the kitchen. It took plenty out of me. I leaned against the counter, set the things down on it, and sat down to catch my breath, quivering in every muscle and nerve. But it had to be done. I’d never get to sleep if I didn’t empty the mug and wash it out in the dishwasher at the hottest possible setting. I armed myself with a big dish-towel, ready to smother anything that might come at me, and then I turned my mug right side up. There lay the creature, exposed on the cardboard, dead, one of its wings split, teetering from side to side in some slight draught. I don’t think it could have weighed an ounce, although it was a clear six inches across the beautiful purplish-black wings. The pale splotches on each wing were a deep peachy colour I’d never seen before. The dead thing was unexpectedly lovely. I blew on it gently and it almost seemed about to rise into the air. But it was dead. I knew just what to do. I pinned the wings out at their full stretch and the next day I mounted it in an old cigar box, pressing it out flat in a bed of wadded Kleenex. I had a piece of glass specially cut to fit the box and I taped it into place, pressing the bug evenly into the Kleenex so that it wasn’t crushed or broken. Then I hung the mount on the rec room wall where I can admire it, about a foot above eye-level. What would it be like to be such a creature? Who knows what bugs suffer? I found that my mug was deeply stained by some tobacco-coloured pigment, either strong coffee or some exudation from the body of the struggling insect, who can tell? I’ve washed it and washed it but I can’t get the stain out. Who can drink from that cup? Hugh Hood was born in Toronto in 1928 and studied at the University of Toronto, where he completed his Ph.D. in 1955. He worked as a university teacher for over forty years -- over thirty of those years spent at the Université de Montréal. He was married to painter and printmaker Noreen Mallory and had four children. He died in Montreal in August of 2000. Hood wrote 32 books, amongst them novels, collections of stories and essays, an art book, and a book of sports journalism. His most extended project, begun in 1975 and occupying him right up until the time of his death, was a twelve volume roman fleuve entitled The New Age / Le nouveau siècle. The last book in this series, Near Water, was published by Anansi in 2000.